Secrets To Gymnastics Choreography is advice from a high level gymnastics coach about how the average gymnastics coach, who is not a professional choreographer, can successfully choreograph a gymnastics floor exercise routine for girls. This gymnastics electronic book (a digital book) product is an interactive (uses Internet-like hyperlinks) e-Book in PDF format. There are also a number of useful Microsoft Excel spreadsheet tools that are included. This e-Book presents a unique, comprehensive approach to floor exercise choreography for beginner and intermediate gymnasts, beginner optional coaches and coaches who are not professional choreographers. After many years of combining the experiences of professional National and International gymnastics coaches, here is a complete choreography basic training program designed to create exciting, unique and original floor exercise routines for beginner and intermediate level optional gymnasts. In almost every gymnastics competition system around the world, there are beginning and intermediate levels of optional gymnastics competition. Many gymnasts at these levels do not or can not afford the use of expensive professional choreographers for these lower optional levels. This book is for them. Many beginner and intermediate optional gymnastics coaches are not prepared and experienced in creating optional floor routines, when the services of a professional choreographer are not available. This book is for them. Many optional gymnastics coaches do not know what they can do to prepare their gymnasts before a professional choreographer creates a new routine for their gymnasts and help to ensure that their gymnasts end up with successful optional floor routines. This book is for them. Many male coaches have no experience whatsoever in creating floor exercise routines for their gymnasts. This book is for them. Many gymnasts wish to create their own floor exercise routines for use in competition or for their own personal use or at least attempt to do so. This book is for them. NOTE: This e-Book is not designed for professional choreographers. This e-Book is not designed for high level Optional gymnasts, who should most likely be utilizing professional choreographers. 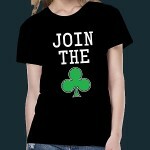 We created this product specifically at the request of an Australian coach. They were extremely happy with the book. Their only comment was that we had used some ballet dance terms with which they were unfamiliar. We have gone back, rewritten those areas of the e-Book and attempted to explain those terms in more common language to remedy that situation. This book was written by a male coach who is definitely not a professional choreographer (who therefore understands the situation of those others who are also not) and who uses the services of professional choreographers for every one of their high level gymnasts every year. Due to the history of its creation, this gymnastics e-Book is international in scope and is designed to help gymnasts and coaches in countries all around the world, including in Europe, Australia and Canada. And, of course, all over the United States. You may very well want to get this information for yourself, since your competition may already have it. The author has also taught many of his own gymnasts these choreography secrets and concepts so they could successfully choreograph their own routines. He has also on rare occasion used this system to choreograph an entire routine for high level gymnasts when circumstances required it and has used it in creating routines routines that scored well on the Regional and National level. For any level coach or gymnast, there are unique, interesting and useful secrets, tips, and insights into the choreography process that you will not find anywhere else. A definitive system for developing gymnasts and their floor exercise routines is outlined and the tools for creating original routines are provided. The e-Book itself is over 50 pages of detailed information about the system for creating a successful FX routine for gymnasts. There are nine other unique document lists and spreadsheet tools to use in the floor routine creative process. The total package gives you 75 pages of choreography tools and information. The extra tools include eight pages of floor exercise skills. That adds up to over 300 skills to train and use in creating your floor routine. There is a two-page list of beginner and intermediate optional level floor acro (tumbling) skills. There is a three-page list of beginner and intermediate optional level dance and ballet skills. There is a list of 50 motor skills that can be used to move your routine around the floor. And finally there is a three-page list of uncommon and interesting skills. All of these lists are designed so they can easily be used together to develop an almost infinite number of original two and three skill combinations and a very creative, original and unique routine. There are also two tools you can use to plan, synchronize and record the timing of your routine with the music and physically diagram your floor routine pattern. For after the routine is finished, there is a list of fun and unique drills to hone and perfect your routines and keep your floor exercise and floor routine practices from becoming anything but routine. There is an essential need to develop and perfect a gymnast’s feel for music and dance. The earlier in a gymnast’s career that this choreography system is implemented, the more effectively the system will work and the better the gymnast’s dance will be. Dance is the largest component of floor exercise. Tumbling takes only 15 – 25 seconds of a 75 – 90 second routine. Dance and choreography comprise all the rest of the routine making it an important part of a gymnast’s success. Many of the skills and combinations you can derive from this book would apply equally well to beam choreography as well. While not all of the skills are currently being done, this book could serve as both a current guide for beam choreography and help set goals for future beam skills and combinations. This e-Book will give you innovative methods of choreography and training for floor routines that even your coach has likely not yet thought of. The program has been designed from the input of National and International coaches from the United States, Russia and China. There are pictures, illustrations, lists of acro, dance and gymnastics skills, included to help you create very unique routines. Between the information in the book and the supplementary materials, you have everything you need for a complete choreography and routine training system. The program is useful for any coach or intermediate gymnast, but is simple enough for younger beginner Optional gymnasts. The e-Book is shipped in Adobe PDF and Microsoft form. For those of you who may not have Microsoft Excel, Microsoft Viewer programs are free downloads from the Microsoft.com website. While there is nothing better than a great professional choreographer working one-on-one with you for improving your floor performance, you can give yourself an extra edge with this program. Many teams and coaches do not have or take the time to work this kind of variety of routine elements, but this is something you can work on at home, at open gym, before or after practice yourself. Since the program is useful for numerous levels, you will be able to successfully reuse this program again next year at your next level of competition and coaches will be able to use it over and over every year. This makes this program not only an essential buy for right now but a great value over the years. This e-Book program normally would retail by itself for $47 and is worth every penny of that. That’s what you might pay for a one hour private lesson with your coach. With this you have hours of reading and information that you can keep, re-read and use over and over. 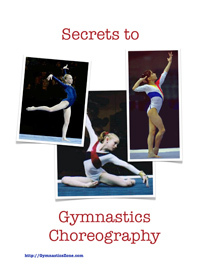 Get The Secrets to Gymnastics Choreography Program And 8 Bonuses! While there is nothing better than a great choreographer working one-on-one with you for improving your routine performance, you can give yourself an extra edge with this e-Book. NOTE: Skills are valued differently in different countries at the beginner and intermediate optional levels, so coaches and gymnasts will need to determine the value of the skills listed for themselves and make sure that all skill difficulty requirements specific to their country and level are met in their routine composition. You have absolutely nothing to lose by buying. Our products are backed by a 60-day unconditional 100% money back guarantee. The amount you pay for the program will be refunded to you if you are not 100% satisfied with the program. Let’s face it – we’re not worried about returns. We know the quality of our information and everyone not only wants to keep this e-Book, but most come back and buy more of them year after year. We’ve been offering this same guarantee for years, and only a handful of customers have taken us up on it and most of those just didn’t read our ad (they thought it was a video) If you have the desire and motivation to succeed – and you’re willing to prove it by investing in your success through this e-Book package, we are willing to take all the risk with our 100% money-back guarantee which lets you try this program essentially risk-free. Choreography is choice of movement. It is a process of selecting and implementing movement in to a routine, which will be interesting, and aesthetically pleasing for its audience (which of course includes the judges) while fulfilling the requirements of the sport for the level of the gymnast. This is a creative process. Some ideas will work and be kept, some will fit the music but not the gymnast, and some moves just donâ€™t fit the routine or the music. Some moves stay in the routine and some are rejected and the choreography process moves on. The point of optional routines is to highlight the talents and strengths of each gymnast while still fulfilling all of the requirements. Choreographers should start with what the gymnasts already know. Then, let the music dictate the connections and transitions. Choreographers must make sure the gymnast is capable of performing the routine endurance-wise and skill-wise. Make no mistake. This is not a book specifically designed for experienced, professional choreographers. It is a book for gymnasts and coaches who are going to be choreographing their first routines. It is designed to give inexperienced choreographers a system and perspective on creating an original floor routine. Each gym usually already has some system or tradition for how they handle choreography for their gymnasts of various levels. There are a number of ways young, low-level gymnasts end up with a floor routine. You can hire a professional choreographer to come and choreograph the routine. There may be a professional choreographer already in the gym and they could choreograph a routine, either as part of the regular gym fees or they may charge a separate fee (still usually less expensive than also paying the travel expenses of bringing in an outside choreographer). There is no doubt that professionally choreographed routines are almost always better than those done by amateurs. For any level gymnast, if money is not a factor and it is not contradictory to gym rules, professional choreography is a bonus. As is most other things, choreography talent and experience is irreplaceable as a factor in the quality of the routine. Other choices for the choreography of routines include using the old routine of another gymnast â€“ a kind of hand-me-down routine â€“ almost always from a higher level gymnast. These are both obtained and sometimes taught by that gymnast at a much lower cost. This is a common method of getting a routine in many gyms. In addition to providing a lower cost routine (with music included), if the money goes to the higher level gymnast, it can help offset their hiring of a professional choreographer for their own routine. Some gyms have standard routines the coach has used with a number of gymnasts and they are reused in subsequent years and modified slightly for each gymnast. It is not uncommon for a gymnastâ€™s regular coach to choreograph the routines of their own low to mid-level gymnasts without the help of a professional choreographer. There are a number of advantages to this. First, this is often done as part of the normal coaching process and there is no additional fee involved for choreographing the routine. Second, the coach will already know the gymnast very well, in regards to their skills, strengths and style and will easily be able to determine which elements to use on the basis of their experience together. Through intimate knowledge of their gymnasts and hard work, these routines can often fit gymnasts very well, compete successfully and be of a relatively high quality. Young, lower level gymnasts often have their routines choreographed by their regular gymnastics coach instead of a professional choreographer. The primary reason for this is to save money. To a lesser degree, original routine choreography is not yet as important to a gymnastâ€™s seasonal success or long-term gymnastics career as it will be at the higher levels of the sport. In general, beginning optional gymnasts (in the U.S. â€“ Level 7 gymnasts) probably donâ€™t require professional choreographers to be successful in competition at that level. Dance choreographers (from dance schools) who have little or no experience with gymnastics and the combinational requirements of the sport are usually not good choices to choreograph gymnastics routines, especially if they are expensive. Normal dance choreography and gymnastics choreography are radically different. Too often routines have to be redesigned to meet requirements and remove moves not characteristic of the sport. On the other hand, they can be excellent at â€œcleaning upâ€ routines that have already been designed to meet the requirements of the sport. As with most aspects of the teaching and learning the sport of gymnastics, it is wise to have a system for the choreography of gymnastics routines. This is what we are attempting to communicate with this book. We use at least some of the aspects of this choreography system, even if we bring in a professional choreographer, which we do with all our high level optional gymnasts. Train, refine and continuously improve routine. This choreography system consists of tasks to do before the routine is choreographed, our steps to choreographing a low to mid-level routine and how to teach and train the routine after it is choreographed. Each of these phases can have multiple steps, which may take a significant period of time. Among the tasks that should occur before a routine is choreographed, regardless of who choreographs it, is to teach all of the skills necessary to meet the requirements of the routine. That is a minimum and many coaches and gymnasts will want to go much farther than the minimum. Gymnasts should be tested on a wide variety of floor skills, not only to see if they can do them, but to see which skills look great on them. Gymnasts who have read some of our other books will have already been keeping a list of such skills on each event. Finding an original signature skill at the lower optional levels is not common, but is fun and helps gymnasts stand out in competition. Less original skills and combinations can be garnered and developed from a number of sources. Finally, music must be selected. The actual tasks that need to be done while choreographing the routine include counting out and/or timing the floor music, determining the number and type of tumbling passes, laying out the floor pattern, choreographing to meet the routine requirements, defining the style and mood of the routine and defining head, arm and hand positions. The entire choreography process should be video recorded to help with later training. This is especially true if a choreographer is brought in from the outside. After the routine is choreographed and learned, the initial training process begins by going back to the master single skills level. When each skill is mastered and imprinted, two skill combinations and then 3 and 4 skill combinations need to be mastered. At that point, it is time to practice with the music in sections (usually the sections between the tumbling passes) and then work 1â„4 and 1â„2 routines. When gymnasts have mastered all of this, then and only then, is it time to work high numbers of routine repetitions. The performance practice phase is the stage where gymnasts have mastered all the skills and combinations in their routine and are now ready to train to â€œperformâ€ it. U.S. Olympian Kathy Johnson once told our gymnasts in a clinic at our gym that when she performed she tried to stretch each skill so far that it knocked down the walls of the gym. This is by no means the only system for choreographing routines, nor the one used by most professional choreographers. Their experience allows them to intuitively perform the required steps without following as formal and long a process as we use. 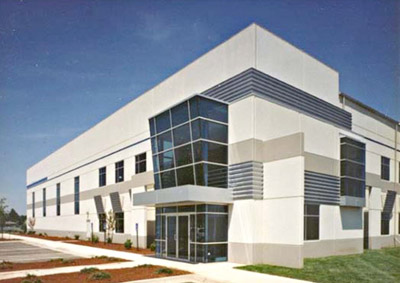 The advantage of our system is that it covers all the necessary steps in a usable order. As more experience is gained, a more intuitive or casual method can be utilized. Our system also allows gymnasts and their coaches to check their routines to see if everything has been covered. A list of basic gymnastics floor skills and interesting and unusual floor skills that can be combined to produce unique skill combinations for any level gymnast. Use to create signature skills or skill combinations for Beginning and Intermediate gymnastics competitive team girls. A list of 120 dance and ballet skills, including â€œAâ€ â€œBâ€ and â€œCâ€ level gymnastics dance skills that can be trained, combined and competed. Use to add ballet skills and ballet language to your training program and competitive routines. A list of 70 â€œAâ€ and â€œBâ€ tumbling skills that can be used either to put together interesting basic corner tumbling combinations or combined with the list of Dance Skills List to put together interesting dance-acro/dance/tumbling combinations. A list of 18 Basic gymnastics hold positions, 50 types of gymnastics rolls, 58 walkover type skills, 17 handstand pirouette skills, 35 press handstand skills and drills, 20 leap and leap combinations, 22 leap and leap combinations, 76 jumps and jump combinations and 37 corner skills and skill combinations. Canâ€™t think of anything to put in a floor routine or what to train today on floor? You get over 325 floor skills and skill combinations in just this list alone. A simple way to diagram the floor pattern of a routine and to diagram it in relation to where the judges are sitting. Surprising to us because it is so simple, but many customers have said this is one of their favorite parts of the choreography package. The best skills to put in a gymnastics floor routine, at any level, are skills that not only meet the requirements, but that the gymnast can already do well and look good on them. This is a simple way to keep track of those skills over the training year and develop a list of those skills for use in a gymnastâ€™s floor routine. 19 different methods of practicing a gymnastâ€™s floor routine including some that can be done while waiting their turn to do the routine on floor and/or in front of a mirror. Doing repetitions of floor routines will never be boring again and routines can be improved in ways that many coaches and gymnasts have never tried before. 20 pages of floor exercise pictures, with unique poses and action skills for inspiration.